Combines intense targeted rehydration with high level daily UVA/UVB protection. Present all year long, UV rays are responsible for premature skin aging. The moisturizing formula containing patented Mexoryl®SX and other sunscreen filters, helps prevent the appearance of wrinkles and age spots. This formula, which contains a Glycerin + Sodium Hyaluronate complex, provides targeted intense moisturization of dehydrated areas. With its high concentration of naturally soothing and softening La Roche-Posay thermal spring water*, it provides a sense of instant comfort. 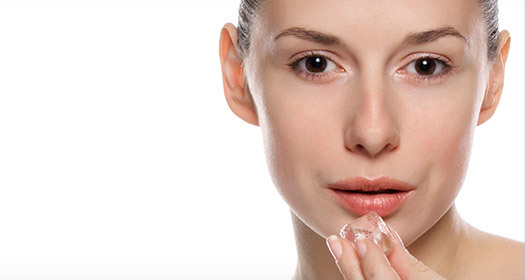 Dehydrated skin, first signs of skin aging (fine lines, loss of radiance, age spots). Every morning, apply to your face and neck after thoroughly cleansing skin. Apply before sun exposure. Non-comedogenic. Caution: For external use only. Avoid contact with eyes. Discontinue use if skin irritation develops or increases. If irritation persists, consult a doctor. Keep out of reach of children. The skin is intensely and lastingly hydrated and feels comfortable and smooth again. Hydraphase UV SPF 30 is rated 4.8 out of 5 by 8. Rated 5 out of 5 by Reily H from Living in Canada the winters are cold and dry so to prepare my skin for the colder weather I started using this product! Besides intensly moisturizing my skin, within 2 days I noticed wrinkles disappearing and a glow to my face! I recommended to my family and friends! Absolutely amazing product! Rated 5 out of 5 by Alicja from Pretty Good Moisturizer/Sunscreen I have only been using this product for about 2 weeks, but overall I am happy. It absorbs fairly quickly and doesn't leave a greasy feeling or any white residue/cast. It's also very nice under makeup. I'll purchase it again. Rated 5 out of 5 by Bubbie from The best face cream I have been using Hydraphase for a few years and am very pleased with it. I will certainly continue to use it.